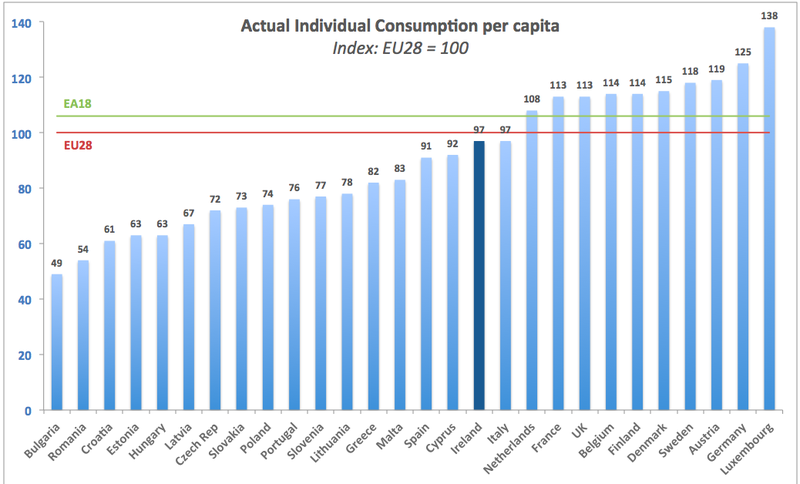 Eurostat released comparatives for GDP per capita and Actual Individual Consumption across the EU28 for 2013. And the results are bleak - for the likes of Ireland and rest of the 'periphery'. Chart 1 plots actual individual consumption in EU28. Ireland at 97 is in a poor 12th position, below EA18 average of 106.0 and below EU28 average of 100. 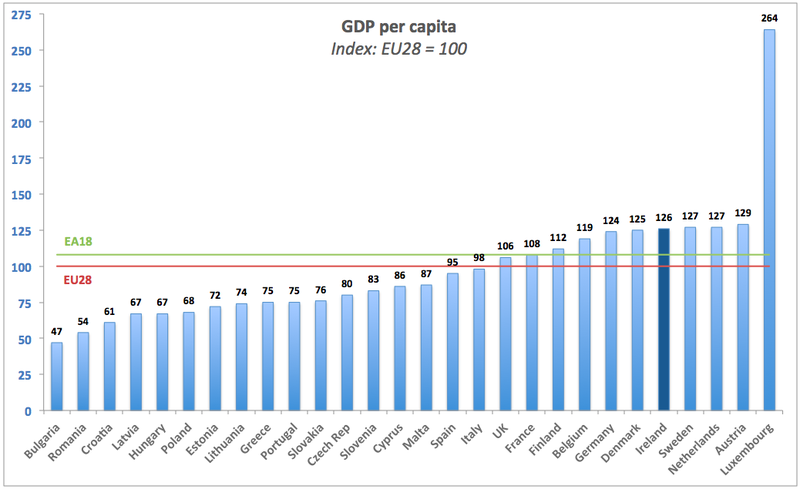 Ireland is on par with Italy and is ahead of only 'peripheral' and Eastern European states. 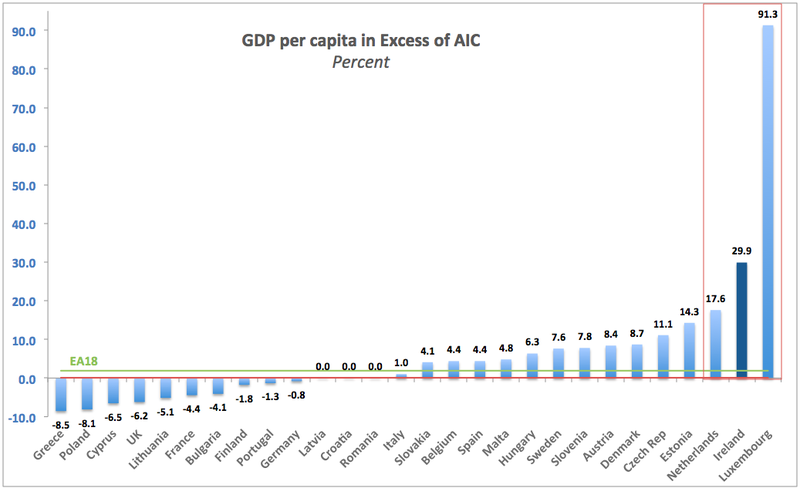 Note: three countries under the EU Commission tax probe are the top three in the size of the gap between GDP per capita and individual consumption. Luxembourg is by far the leader here - partially due to same causes that drive Ireland's and Netherlands' gaps (MNCs tax optimising) and partially due to the fact that much of Luxembourg's labour force resides outside Luxembourg. Which means it's gap of 91.3% is over-exaggerating pure effects of tax optimisation on its economy. So here we have it: Ireland's allegedly spending-happy consumers are below EU average, while our allegedly employment-generating MNCs are driving up activity that is not translating into actual spending by people living here... It's a resource curse, on par with what is happening in Luxembourg, Switzerland and Norway.